The evacuation of the Viking Sky cruise ship ended on Sunday morning with 479 people airlifted off the ship, 20 of which were injured with broken bones, bruises and cuts. The cruise liner regained engine power on Sunday morning and is traveling to Molde harbor so that the remaining 436 guests and 458 crew members can disembark. Passenger Jan Terbruegen described conditions on the ship to CNN as travelers waited to be evacuated: "Furniture would slide across the room, slide back and with it came people and glass. It was a very dangerous situation frankly." For Beth Clark, being airlifted was a scary experience. 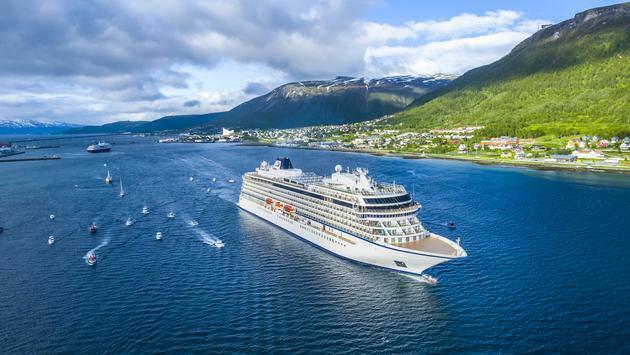 Viking Ocean Cruises' Viking Sky cruise ship began evacuating 1,300 passengers and crew after sending a mayday call off Norway’s western coast on Saturday. In a statement, Viking Ocean Cruises said, "We can confirm that on March 23rd at 2pm (Norwegian time) the vessel Viking Sky a 47,800-tonne ship travelling from Tromso to Stavanger, carrying 915 guests and 458 crew experienced a loss of engine power off the coast of Norway near Molde. We are working closely with the relevant authorities and all operational procedures were followed in line with international regulations. 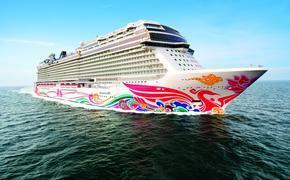 In addition, Viking has dispatched an operational task force, including the company's owner, to Molde." "Our first priority was for the safety and wellbeing of our passengers and our crew, and in close cooperation with the Norwegian Coast Guard, the captain decided to evacuate all guests from the vessel by helicopter. The ship is proceeding on its own power and a tugboat is on site. The evacuation is proceeding with all necessary caution. A small number of non-life-threatening injuries have been reported. Guests are being accommodated in local hotels when they arrive back on shore, and Viking will arrange for return flights for all guests."